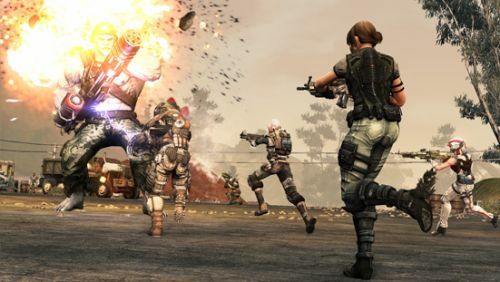 The Defiance beta event is underway on the Xbox 360, PlayStation 3, and PC. PS3-based Ark Hunters have been at it for a few days now, and PC and 360 gamers were finally able to get in on the action this morning. The winners from our massive beta key giveaway should have received their PC codes from Trion or been PM'd console codes from Co-Optimus by now (check your Co-Optimus profile inbox). Several Co-Optimus staff members will be participating on all three platforms. Hit us up if you want some help on co-op missions. A few of us might even be persuaded to break from our strong co-op roots and engage in some PvP. Maybe. Probably. I already did. Sorry. Since this is a beta you can expect some long wait times to get into the game, log-in issues, and server snafus. That's why companies do betas! Hopefully our early time spent with the game will pay off with a smooth launch in April. Page created in 0.5802 seconds.